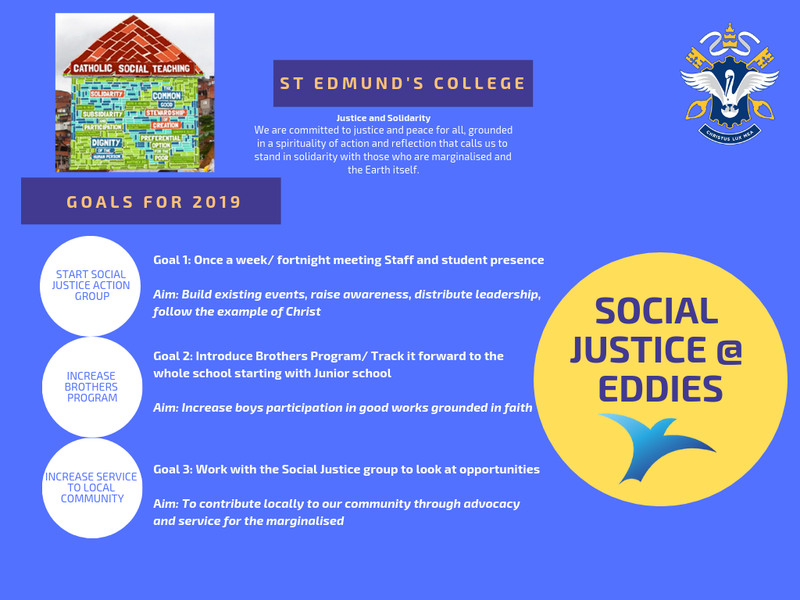 In 2019, the 65th year of providing education at the College, we have decided to introduce a spiritual theme to St Edmund’s. 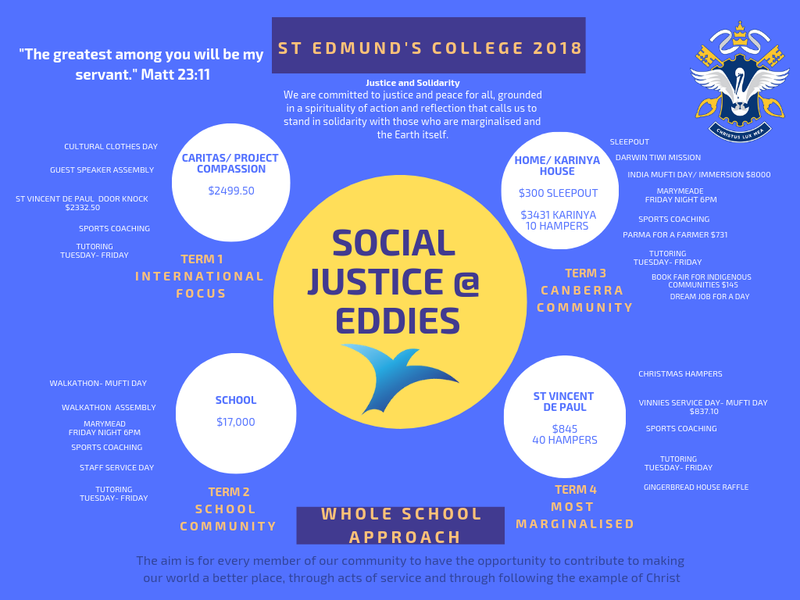 The theme is a bible passage that animates the EREA touchstone of Gospel Spirituality in providing students, staff and parents with a focus in which to use in promoting the message of Christ within and outside of the school context. 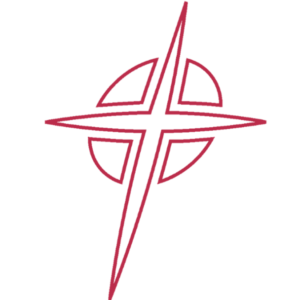 Each year the College will change the passage and touchstone as we explore creative ways to illuminate our core mission and identity as a Catholic school. The Gospels provide a rich bank of knowledge and wisdom in which we are eternally using to assist us in guiding our thoughts and actions. Christ is at the centre of these texts and provides an everlasting model in which to mould and craft our lives and in a Catholic school the naming of this source of strength is integral for all members as we try to live each day to the full. The selected passage is very popular and used frequently by many as a source of strength in attempting to achieve great feats, when tested and challenged in a variety of settings and when we are simply struggling with particular relationships or in the making of difficult decisions. In all of these situations it is important to remember that Christ is always there to strengthen us ….”I can do all things” with Christ. Grant that we may live each day to the full, inspired by the Holy Spirit. Let us cast away all worries and concerns into your divine care. Give us strength to confront all challenges that we face with hope and faith. Let our community seek truth in all that we search for. Let us stand for others always giving generously without counting the cost. Thursday 8.20am in the Chapel, Please sign in at reception.